The United Kingdom could reshape its economic future and unlock its share of £39.8 billion in untapped GDP if organisations were to ‘optimise their workplaces’, according to a new study by Ricoh and Oxford Economics, titled The Economy of People (registration required). The UK could achieve a 1.8 percent increase in GDP, equal to £36.8 billion, which could pay for the cost of Brexit twice with change to spare. Similarly, the Irish economy could expand by 1.0 percent, or £3 billion, if businesses commit to creating the optimal office. The findings from The Economy of People are based on forecasts of how productivity in various industries will improve, if investment in workplaces makes them optimal for those that work there and their employers. Surveys and interviews were conducted with employees and executives to uncover how workplace elements, such as culture, physical workspace and technology affect performance and productivity. Executives were also asked how much of their operating budget they plan to spend on workplace initiatives next year. The insights were used as a benchmark, along with economic factors including gross value added, labour productivity in industrial sectors and employment figures, to form an economic model that calculated the gross value-added contribution to GDP that an optimal office would deliver. The study claims that culture is the foundation of an optimal office, driving ’emotional motivators’, which are a catalyst for creative thinking and performance. Technology proves critical to ensuring high output-per-hour, which leads to increased productivity. And the physical workspace was identified to be the bridge between culture and technology, influencing both performance and productivity. When comparing culture to workspace and technology, executives surveyed largely agree that strong company culture remains critical to improving employee trust (87 percent), motivation (83 percent) and well-being (69 percent) within the organisation. Culture is a critical foundation for attracting and retaining staff and can minimise disruption to the organisation and inspire better work. Commitment to ethical and sustainable business practices is quickly rising as an essential component of culture. Surprisingly, 71 percent of millennials and 73 percent Gen Z employees feel their organisation’s approach to ethics and sustainability positively affect their productivity and performance, in comparison to older generations of employees who ranked this as more important. On a related note, only 73 percent of millennials report that incentives for innovation enhance their performance and productivity, in comparison to 88 percent of employees age 38-52 and 83 percent age 53 and older. Gen Z, however, presents a more complicated scenario as 90 percent feel incentives for innovation are important. The rise of ethics suggests workers are aligning themselves with organisations with similar ethical values and purpose-led approaches, whilst their Gen Z colleagues are adopting a similar mindset, in addition to calling for incentives. 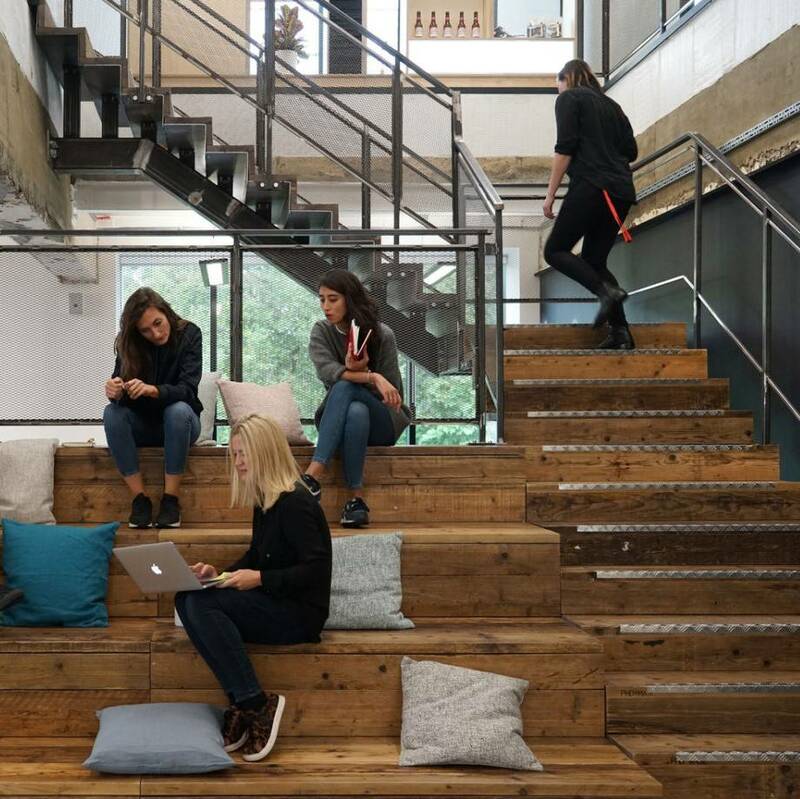 When it comes to the physical workspace, 93 percent of all employees agree that working from a fixed location is where they feel most productive. In addition to working at a fixed location, 85 percent of employees stated their workstation is essential to productivity. Executives may underestimate the workstation, as only 64 percent saw workstations as a driver of productivity. 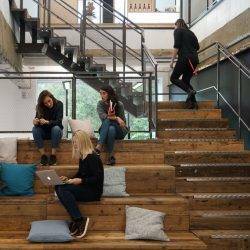 This suggests that further process may need to be introduced to ensure employees have the right space where they can be productive and perform to their potential. Currently, only 26 percent of employees feel they are productive working from home today. However, given the right tools, 78 percent believe they could be more productive working remotely. Executives agree, yet only 44 percent feel they provide technology that is effective at assisting remote working. Technology is agreed to be the greatest driver of output per hour by both employees (77 percent) and employers (90 percent). However, the study exposed potential disagreement between members of the executive team. CEOs clearly expressed a differing opinion around the current and potential impact of technology on productivity. 77 percent of CEOs said technology infrastructure can lead to greater business performance, versus 87 percent of CFOs, 86 percent of CHROs and 84 percent of CIOs, suggesting that executive teams will need to work together to achieve the optimal outcome. Nearly three quarters (74 percent) of business leaders in the UK and Ireland have already invested in workplace improvement have seen a positive return, and even small improvements to the office environment have made a big difference to employees, showing this is the right way to go. The study revealed that 93 percent of executives planning to spend more than 10 percent of their operating budget on office improvements identified facilities management (sensors, monitoring equipment, temperature, etc.) as the biggest driver of productivity. This is out of alignment with employees who feel technology infrastructure and digitisation of information, two hallmarks of effective digital transformation strategies, are the most critical. Overall, the vast majority of executives (70 percent) feel that the impact of an optimal office environment could increase the productivity of their organisation by up to 10 percent.